Dr. Malinoff is the president and founder of Pain Recovery Solutions, PC. He began this private practice in 1999. 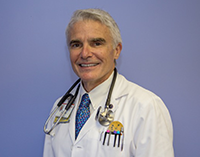 He is certified in Internal Medicine, Medical Oncology, Pain Management, and Addiction Medicine. He specializes in treating patients with chronic pain syndromes, addiction as well as addressing their internal medicine needs. His understanding of the relationship between medical problems, pain, and addiction led to the establishment of a practice that provides services to patients that address multiple related problems using an integrated, comprehensive approach. Dr. Malinoff received his MD degree from the University of Michigan. He trained in Internal Medicine in Chicago, and completed fellowships in Hematology/Oncology and Nuclear Medicine at the University of Michigan. He is an Associate in Healthcare Risk Management and Quality Review. Dr. Malinoff lectures internationally on Chronic Pain and Addiction and is a member of the board of directors of the American Society of Addiction Medicine (ASAM). He is co-chairman of the ASAM annual course on pain and addiction. He is a Fellow of both the American College of Physicians and the American Society of Addiction Medicine. He is the immediate past-president of the Michigan Society of Addiction Medicine. Dr. Malinoff is an attending physician at St. Joseph Mercy Hospital in Ypsilanti and is on the faculty of the Department of Anesthesiology at the University of Michigan Medical Center.